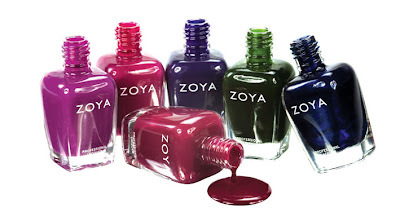 This just in from Zoya! Better images of Truth and Dare! Again, these are available at Art Of Beauty on July 15th. Man Zoya dare looks like it's got some good colors. Can't wait to see swatches from people once it comes out! Oooh, look at that yummy dark green! I wanna see these on your nails!! Ugh, I hope zoya ships these quick, I'm moving at the beginning of August and I don't want to have to wait until I'm at my new address! Holy Carp!!! i just saw the updated pic. Man I thought I just needed Dare but now I might need Truth as well. sigh. Zoya makes such pretty rich colors. I may just have to buy 2 bottles of Envy now. If the picture of the bottle shows the accurate colour, wow, I'm in lust! Ok, the bottles have sold me...even with dupes for at least 4 of the Dare colours, I have to have them!!! I am SO flippin excited about these lines! Can't wait to see them on your nails. I'll be eagerly awaiting your swatches of the "dare" series. They look awesome! Kiraling, me too :) I agree about Gussied Up Green. I love it, but I want something greener! Nicole, I KNOW!! AHH!!! SO beautiful!! Atomica, I'm already thinking about backups! Meevia, I'm sorry :( I think they're working on it though! 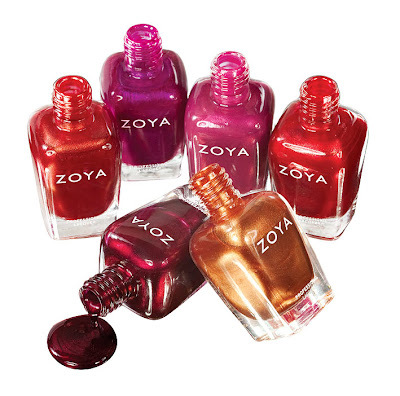 For now, I hear Sparkling*Nails on eBay ships Zoya internationally! Suzie, me too, I can't wait to see them in real life! I read somewhere that Envy has a mild shimmer. But it didn't say what color.. I was hoping it was a jelly though.. I have to have it anyway. Of the color is accurate I don't care if it got a bit of shimmer..